Want to stay up to date with new developments in C++? 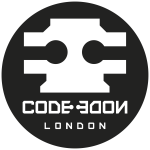 Don't miss this months C++ London! This month we welcome back Oli Ddin and Valentin Galea. Coding conventions, guides and standards are a perennial effort of software development. Lots of effort goes into preparing and advocating them but arguably less in following them. Part of this is caused because they are usually documents relegated outside the main dev work. We will show a novel model that we apply at Splash Damage whereby the coding standard is a 'live' source code file that is 1st class citizen in the main source code. We will quickly showcase the standards, how they are followed, maintained and evolved continuously by a full team of developers. Valentin is a professional video game developer based in London, UK. He currently works at Splash Damage for the award-winning "Gears of War" franchise on Windows 10 and Xbox One. C++ enthusiast and evangelist, focused on systems, graphics and engine programming. He has 10 years worth of experience, with past work ranging from MMO projects to mobile and handheld games. When he's not geeking out on games, he collects vinyl records. C++20 is edging closer to standardisation. In this talk we will cover the upcoming language features, briefly touch upon their chances of making it in and explore the options we have available to us today for playing with (or at least gaining experience) in taking advantage of them. Oliver has been a C++ hater since 2008 - fortunately, that all changed with C++11 and he's firmly an enthusiast now. He's spent his time doing everything from embedded devices to network engineering and now Internet security related endeavours. He's a big proponent of writing software in a style driven by some form of testing and its place in pushing you towards well-architected, maintainable code. In his spare time he also co-organises C++ London Uni which provides free lessons for people wanting to get into developing C++ and the wider ecosystem around it.